The 12 nominees for the 2008 Mercury music prize will be announced later today (22 July). All albums made by UK and Irish acts are eligible for the award, won last year by Klaxons for their album Myths Of The Near Future. The award is based on critical opinion of the judges rather than sales or votes from music industry staff, and more often goes to an up-and-coming artist than at the Brits awards. But big-selling acts are in the frame this year, including Radiohead, Coldplay and Duffy. 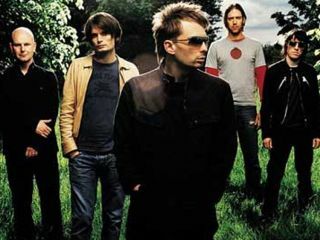 Radiohead gained considerable attention late in 2007 by releasing their In Rainbows album online, with fans paying what they wanted to download MP3 files. Not only a return to form, the album also went to Number 1 in the UK and US when released as a physical CD. Similarly, Coldplay topped both the UK and US album charts with their fourth album Viva La Vida Or Death And All His Friends, while recouping some of their credibility. And Duffy has proved a critical and commercial success with her debut album Rockferry. Led Zeppelin singer Robert Plant may also be on the shortlist. His album with Alison Krauss has been another critical and commercial hit, his ongoing tour with Krauss scuppering any chance of another Led Zeppelin reunion in 2008. The Mercury prize and the accompanying £20,000 winning cheque have been presented since 1992, the first award being picked up by Primal Scream for Screamadelica.